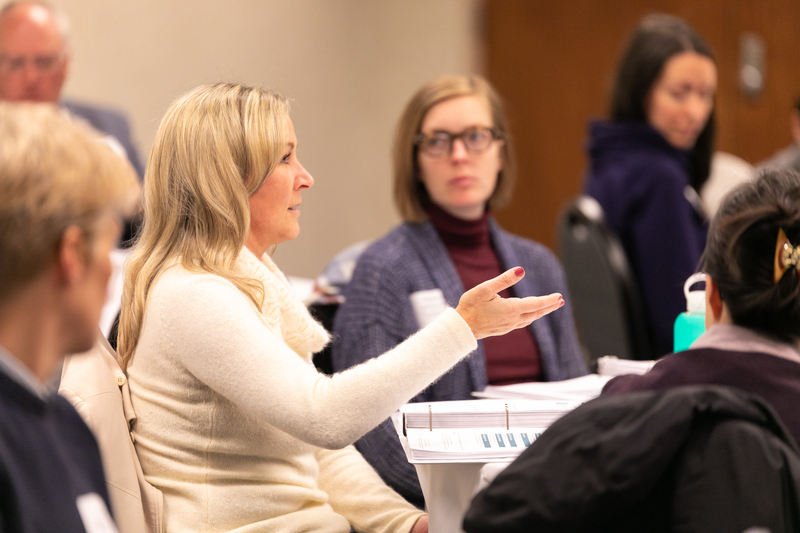 The first convening of the three-part ABLe Change Process took place November 7 and 8 at Eastern Michigan University. More than three-dozen participants–from community mental health organizations, substance use disorder treatment providers, hospitals, public health agencies, housing organizations, law enforcement agencies, educational institutions, and other sectors–worked to develop an overarching goal for long-term work that would increase community well-being, reduce harm from substance use, and identify metrics that will be used to evaluate progress. 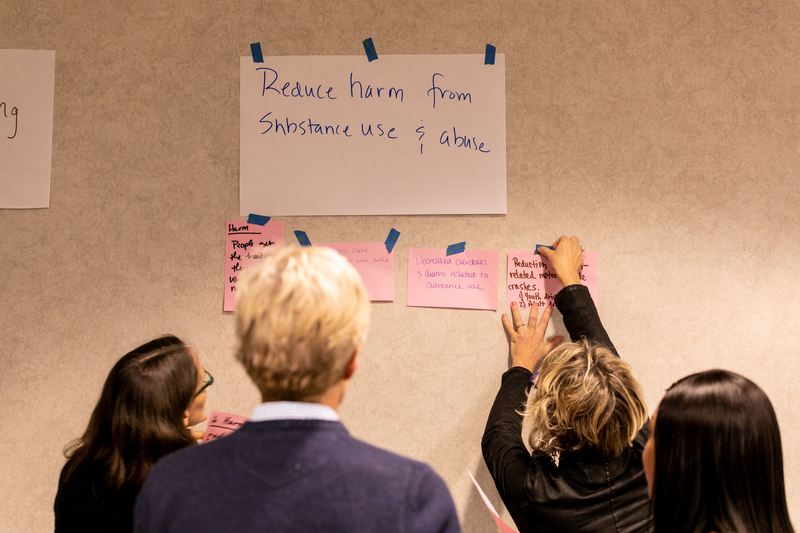 After considerable discussion, the group identified an overarching goal for the initiative: To promote community well-being and reduce harm from substance use. In addition, the group will work to improve overall population health with an equity-informed approach and social-justice lens by identifying and addressing root causes of substance use. 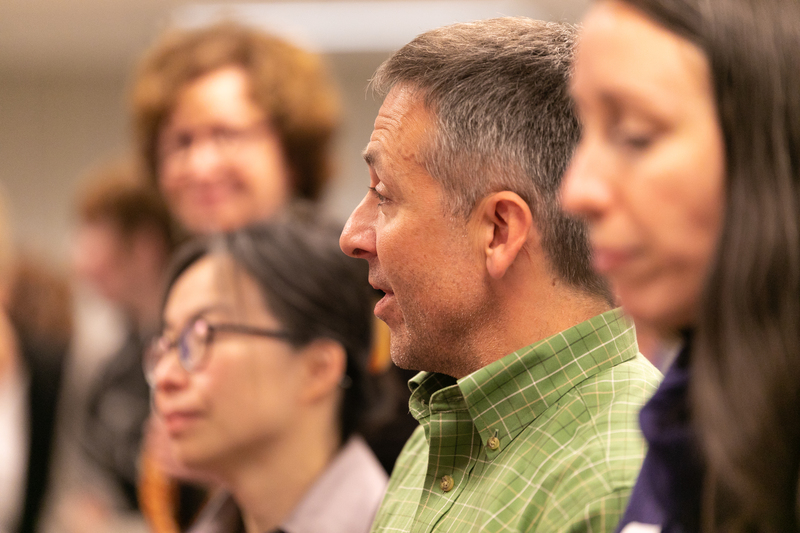 The group will also engage a diverse set of community members, as well as the key organizations that serve them, as decision makers in the design and implementation process. Participants at the convening spent time identifying a number of measures of success that will be important to track as the work unfolds, including reduced stigma, emergency room use, and overdose deaths as well as improved mental health status, educational attainment, and affordable housing availability. Then, after discussing what an ideal system would look like, participants went on to discuss potential breakdown points, where people who need services would be most likely to fall through the cracks and where efforts may fail to achieve intended results. Two groups will continue the work until the next convening, which will take place on February 20 and 21, 2019 at Dawn Farm’s community barn. One group will identify breakdown points in the current mental health and substance use disorder system that could be successfully addressed over the next six to eight months to produce “quick wins” and build momentum around the work. Another group will gather the data required to identify particularly affected populations in the community. While the group will focus on increasing overall population health, it will also develop targeted interventions so no key groups–underrepresented minorities, low-income communities, etc.–are left behind. Leaders will work to engage more community leaders before the February convening–in particular, faith leaders and the leaders of neighborhood organizations–which will focus on identifying “quick win” objectives and developing an action plan around them. Following the February convening, the group will gather community input on goals. And at the May convening, participants will join ongoing working groups that will carry out the on-the-ground work.